In his bestselling book Freakonomics, University of Chicago economist Steven Levitt, Ph.D., showed how sophisticated math—and a knack for asking the right questions—can uncover "the hidden side of everything," from the bare-knuckle finances of a crack-dealing gang to the very real dangers of suburban pools. You could say that Griffin Edwards, Ph.D., an assistant professor in the Department of Marketing, Industrial Distribution, and Economics in the UAB Collat School of Business, is taking freakonomics to court. Edwards entered college "trying to figure out if I should be a lawyer or an economist." He ended up combining the two. 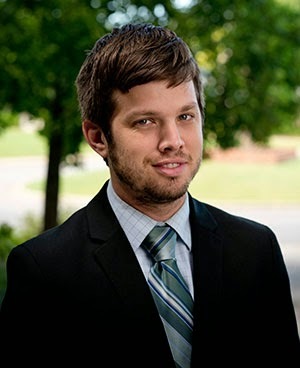 Edwards specializes in empirical legal studies, a young discipline that applies the high-powered statistical methods of economics to lawmaking. By crunching everything from murder rates to crop yields, he is revealing the unintended consequences of mental health legislation, Prohibition, and more. For decades, mental health professionals have chafed against "duty to warn" laws, which require them to notify authorities if their clients threaten others or themselves. These laws can be traced back to a landmark California Supreme Court decision, Tarasoff vs. Regents of the University of California. Tarasoff was a young woman murdered in October 1969 by an unbalanced graduate student who had previously confessed his intentions to his psychologist. In the years since, 43 states have passed so-called "duty to warn" laws. Some require mental health professionals to warn the authorities or the threatened party. Others say professionals can warn at their discretion. Giving a warning "may seem like a reasonable response, but from a psychologist's point of view, it is not," Edwards says. "They argue that the whole reason the doctor-patient relationship works is that everything said is confidential." According to mental health professionals, such laws make it less likely that potential victims will be protected, because patients will be less likely to divulge violent plans—and that means fewer opportunities for professionals to intervene through counseling. "This debate has been going on for years," Edwards says, and determining an answer is not obvious. How can you tally up the number of people who were prevented from murder, or suicide, by a psychologist's warning? That is the goal of the law, after all, to stop these events from happening. Edwards came up with a solution: If the mental health professionals were right, there should be an increase in suicides and murders in states after these laws are passed. But you need to be careful to tease out this signal from a sea of other possible contributing factors. For example, suicide rates are higher in the Pacific Northwest due to the gloomy weather and plentiful supply of isolated bridges, Edwards points out. 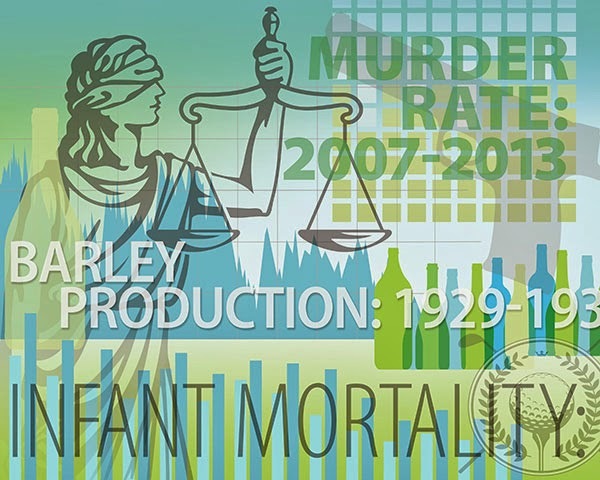 Murder rates fluctuate as a factor of policing strategies, drug violence, and a host of other reasons. So Edwards compared statistics from states after they passed duty to warn laws to the data from the same states prior to passing the laws. Then he compared that difference to the numbers from one of the states that have never passed duty to warn laws. Using econometric techniques, "I'm able to control for a lot," Edwards says. "This allows me to infer something similar to a randomized controlled trial, but with laws and states instead of individuals." What happened? "I found that the psychologists are right," Edwards says. In a paper published in 2013 in The International Review of Law and Economics, "I found that these laws actually increase suicides among teens, but have no effect on adult suicides," he notes. In a separate paper forthcoming at the Journal of Law and Economics, Edwards found that "homicides increase by anywhere from 5 to 7 percent" after mandatory duty to warn laws are passed. "Permissive" laws, which say mental health professionals can warn potential victims or the police, had no statistically significant effect. "We tell our students that the great thing about economics is it's the study of everything," Edwards says. His own research interests range from mental health legislation to the effects of golf cart use on a player's score. "I try to do research that's not totally boring to my wife." Edwards is now examining involuntary commitment laws. "Every state has a different length of time you can commit someone involuntarily if you suspect they are a danger to themselves or others," he explains. In some states the period is three days; in some it is three years. He wants "to see if locking someone up is actually stopping the crime from happening or just delaying it." Edwards's interests range far beyond mental health. "We tell our students that the great thing about economics is it's the study of everything," he says. He has used official government data on hops and barley crops to estimate how much people were drinking during Prohibition (not as much as you may think), and pored over medical records to determine the effects of Prohibition on infant health (banning alcohol was good for babies). Edwards is "really excited" about a new paper on golf carts and player performance—a question that caused an uproar in the early 2000s. Casey Martin, a talented golfer born with a degenerative knee condition that makes him unable to get around the course without a cart, sued the Professional Golf Association (PGA), which wouldn't let him use a cart in its mandatory Qualifying School. His case made it to the Supreme Court. The justices agreed with Martin's lawyers that the Americans with Disabilities Act applies at Pebble Beach and Augusta National just as much as it does in any other public place. Many commentators were outraged. "Lots of people were saying, 'He's ruined sports; pretty soon we're going to see quarterbacks on crutches and referees with seeing-eye dogs,'" Edwards says. The PGA and its defenders argued that walking was a crucial part of the game. But, Edwards wondered, how much of an advantage did Martin really get from his cart? "It actually makes you better to walk," Edwards says. "So not only does it not give him an unfair advantage, it actually puts him at a disadvantage. The point of that paper is, maybe we could be a little more accommodating to people with disabilities." There is evidence that judges are beginning to cite empirical legal studies research in their opinions, Edwards says—a trend that should continue as the discipline matures. But Edwards also has another motivating factor: "I try to do research that's not totally boring to my wife," he says. "Something she can at least pretend to be interested in." The UAB Collat School of Business now offers completely online degrees in economics, finance, management, and marketing. Learn more here. We encourage and look forward to your comments on The Mix (and in its related social networking outposts). Comments will be reviewed before they're posted. Those that are not related to the topic under discussion, promote products or use profanity or abusive language will not be included.